Walkden Low level station was situated on the London & North Western Railway’s (LNWR) Roe Green Junction – Fletcher Street Junction line which opened for goods services on 16 November 1874. The line, which was authorised on 12 July 1869, created a shorter route for the LNWR between Bolton and Manchester and one that could compete more easily with the Lancashire & Yorkshire Railway (LYR) who had a direct route between the two times dating back to 1839. The LNWR Bolton and Kenyon line provided a link between Bolton and Manchester but it was not direct and it was more than twice as long as the LYR route. From 1864 the situation was improved when the LNWR opened a line between Eccles and Wigan from which a connection to the Kenyon line was made at Howe Bridge, but again the route was still longer than the LYR line. The first sod on the direct line was cut on 23 January 1871 but construction did not start until March 1871. The new line diverged from the Eccles and Wigan line at Roe Green and then ran for 4¾ miles to Fletcher Street in Bolton where it connected to the Kenyon line. Passenger services were introduced on 1 April 1875. Walkden Low Level was opened as Walkden along with two other stations (Little Hulton and Plodder Lane). As built Walkden station had two platforms reached by four ramps. There were similar single-storey brick buildings with a canopy on each platform, that on the north side being longer as it included the booking office. 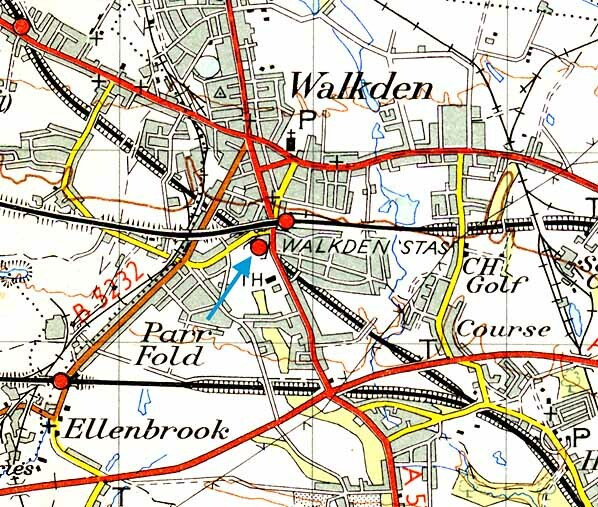 The railway company originally proposed naming the station 'Walkden Stocks' but was overruled by the Local Board. 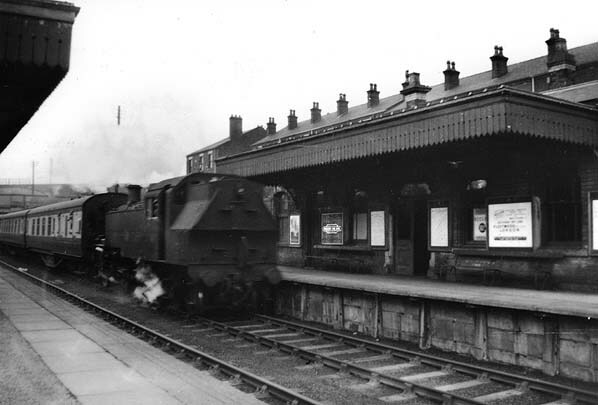 In June 1924 it was renamed Walkden Low Level to distinguish it from the Lancashire and Yorkshire Railway's Walkden station which became Walkden High Level. The station had no goods facilities. Passenger services were discontinued on 29 March 1954 but the line continued to be used for freight traffic. 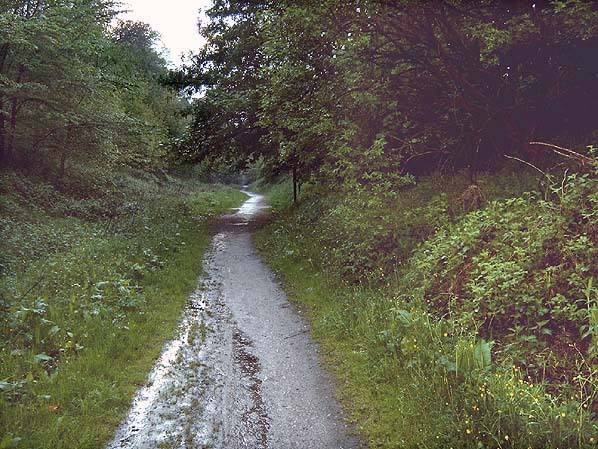 The Tyldesley Loopline was opened by the London& North West Railway Company on 1st September 1864, to provide a link between Eccles (located on the famous 1830 Stephenson line between Manchester and Liverpool), and Wigan (located on the main West Coast line which ran from London to Glasgow). in the UK at its prime. Bridge. They smacked into the bridge, breaking up in the process and depositing their contents far and wide, before bursting into flames. The contents of one wagon being boxes of Daddies Sauce, and the other crates of Wellington boots. Walkden LNWR station looking south-east in 1905. Walkden LNWR station shown on a 6-inch scale map from 1891. The proximity of the LYR station is clearly demonstrated. Walkden station shown on a 25-inch scale map from 1891. On this 25-inch scale map from 1936 the 'high level' and 'low level' suffix has been added by the LMS to avoid confusion between the two stations. There had also been considerable residential development since the 1890s. 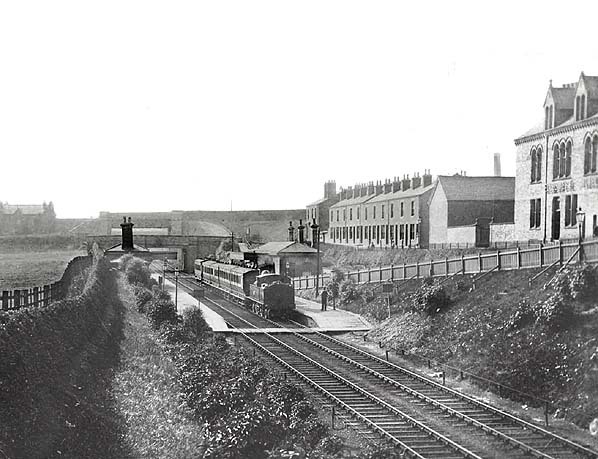 The Walkden LNWR station looking north in 1905. Standing at the up platform is a local service for Manchester Exchange. In the distance the LYR line can be seen. 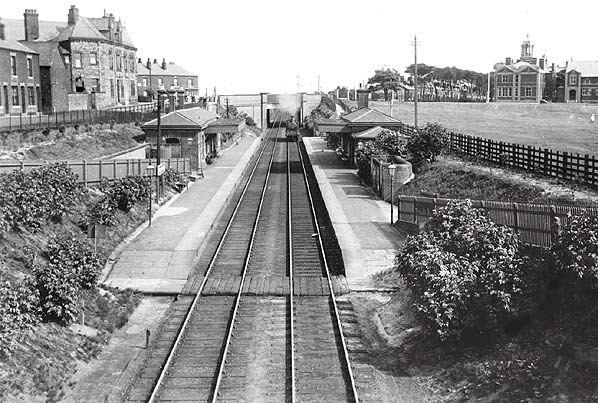 Walkden Low Level station looking south-east in the early 1920s. The station was sited between two roads with ramps down to both platforms from Park Road and Walkden Road. 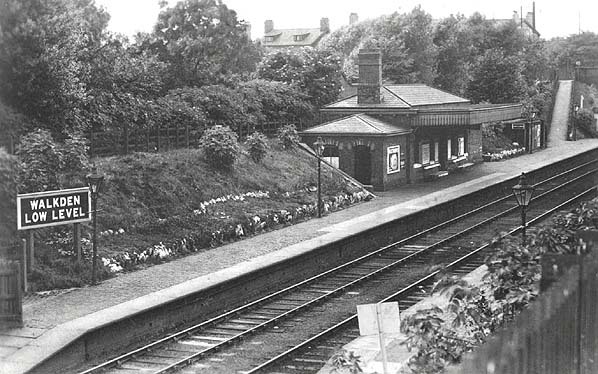 The Walkden Low Level station down platform seen in the 1930s. 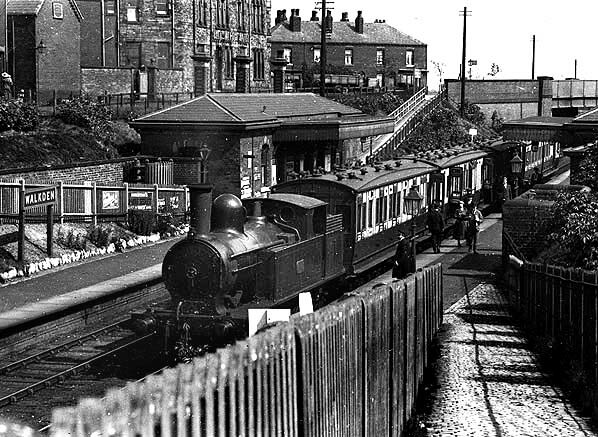 Walkden Low Level station in 1954. Note the paper token sign on the notice board. When metal totem signs were eventually fitted to stations a few years later, the High Level station got them but Walkden Low Level didn't. 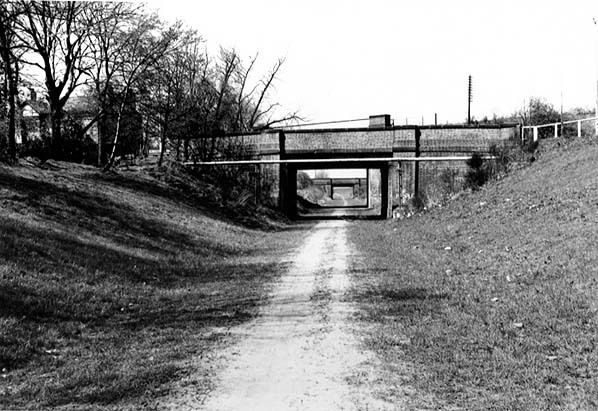 The site of Walkden Low Level station looking north in April 1976.